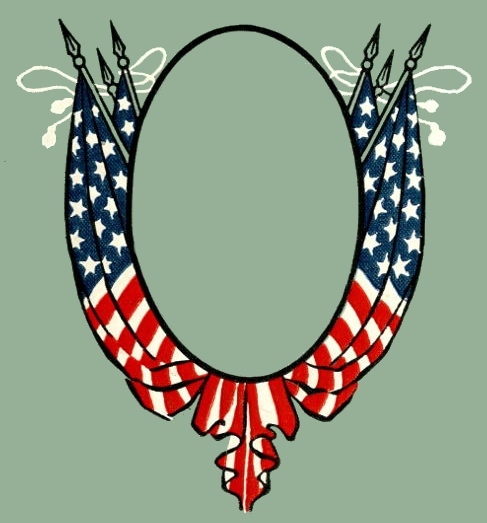 Originally found on the cover of a 1908 book celebrating the life and humor of one of our American presidents, this American flags frame features 5 flags, draped around a circular frame. I think it would make a wonderful image to use in a scrapbook with a service member or even as a framed picture of your favorite soldier, airman, sailer or Marine. It would also make a great patriotic image to use for July 4th. It comes with a background similar to Army green but it wouldn’t be too much trouble to change the color to something else.